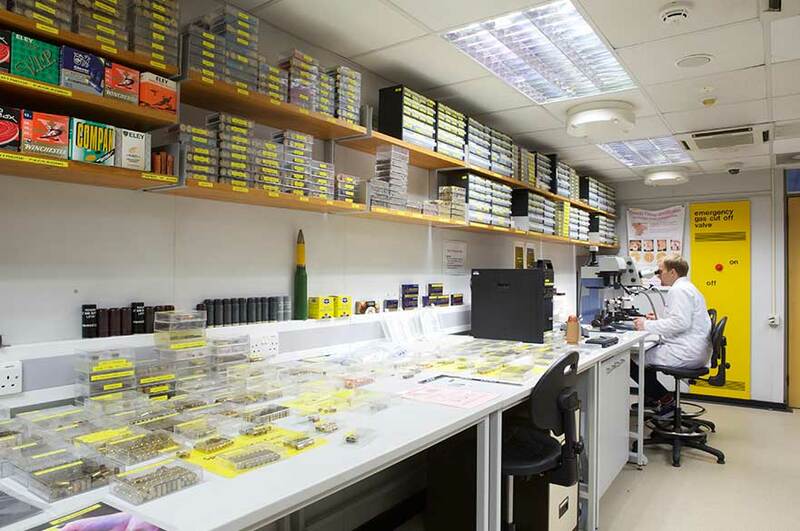 With ballistics experts in great demand, get ahead in your forensics career by gaining experience of ammunition and firearms in our Ballistics Laboratory. When you choose one of our undergraduate or postgraduate forensics courses, developing practical skills will be a key part of your learning experience. We can gain a lot of evidence from ballistic examination within a criminal investigation, and ballistics experts are in great demand to help solve crimes. We use this piece of equipment to identify the unique characteristics of spent cartridge cases and bullets recovered from crime scenes so that they can be matched to a particular firearm. You'll have access to ammunition and firearms identification databases used by UK ballistics experts and firearms examiners.These databases contain information from previous investigations, which means they can be used to trace the owner of a weapon and to find out whether it's been used in a previous crime.